Have you just been discharged from the hospital after your colostomy surgery? Perhaps you've had your ostomy for 15 years. Either way, it's never too late to find out what new innovations have been made in the ostomy industry. Although the basic concept of a skin barrier and pouch remains the same, there are slight but important improvements to the ostomy accessories and aspects of the appliance that improve the quality of life for someone with a colostomy, ileostomy and urostomy. Just in 2012, Coloplast has made great strides to improve the pouch offerings to people with colostomies and to the complete field of ostomy accessories. Coloplast has introduced their SenSura Mio colostomy pouch and the Brava ostomy accessory line. You can try these items for free by contact Coloplast. 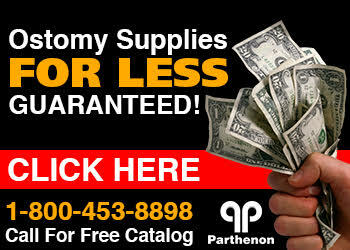 Get samples of Coloplast ostomy supplies fast by completing this form.